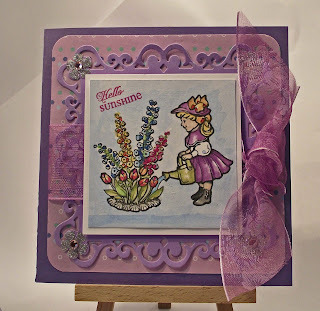 I am blogging today about my DT card for the new challenge starting over at Craftymess Challenge Blog and the theme chosen my my teamie Moira is Nursery Rhymes. We are sponsored for this challenge by the wonderful Crimson Cloud. They are offering the winner 3 pkts of die-cuts of their choice. And pretty maid all in a row. The Mary Mary image for my DT card was downloaded from a site offering free printable images. I coloured the image using my trusty watercolours and matted the finished image onto a piece of white card that was slightly larger than the image to create a frame. I popped this image onto a MemoryBox die-cut decorative frame using demensional adhesive and matted the frame to a 4x4" piece of polka dot patterned paper. I added some bling to the corners and threaded a strip of organza ribbon behind the image and tied a flat-ish knot. The layers were then adhered to a 5x5" tent fold mauve card base. 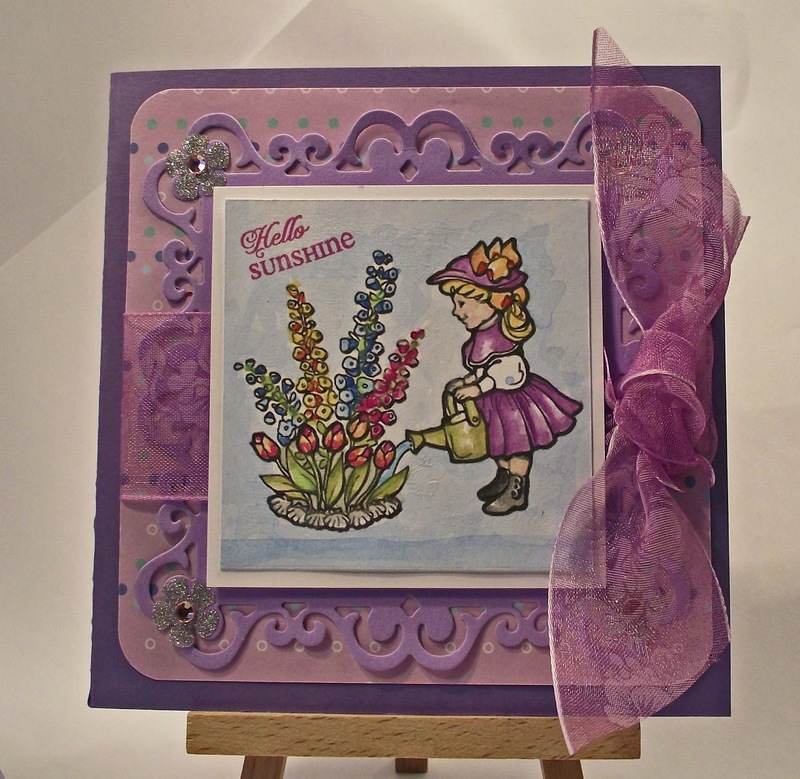 The 'Hello Sunshine' sentiment from Verve Stamps was added to finish. Mine is just one of the DT projects to be seen on the Craftymess Challenge Blog . The DT have produced some beautiful interpretations of the 'Nursery Rhymes' theme to inspire you. 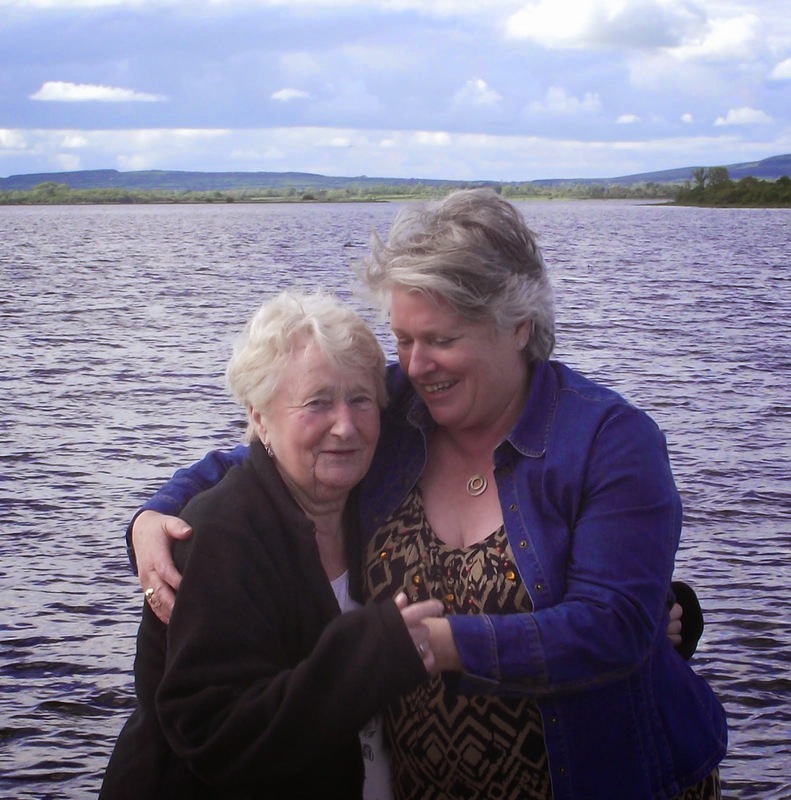 Take some time to pop over to see the blog and join in the fun. Looking forward to seeing your work. Thank you for taking the time to drop by and read my blog. As always your time is appreciated and your comments mean a lot.